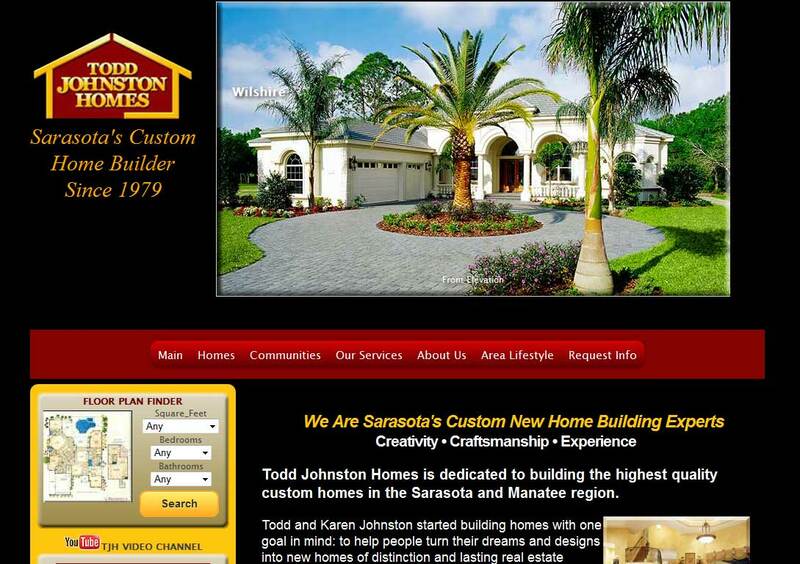 PTC Computer Solutions of Jacksonville, Florida has been retained along with REDdot Marketing also of Jacksonville, Florida to redesign an existing web site for Todd Johnston Homes, Sarasota’s Custom Home Builder since 1979. Todd Johnston Homes is dedicated to building the highest quality custom homes in the Sarasota and Manatee region. Businesses usually look to their marketing first and more often to their least expensive avenue toward marketing, the web site, when things are heading down OR up. Right now, between Todd Johnston Homes and several other new clients from the building industry including builders, re-modelers, renovators, and developers of housing, Parker has been seeing a definite trend upward since the middle of 2012. The market is bearing that out. ← How to Quantify Social Media Efforts?